Before I started Me Before You, I predicted that I would be crying by the end. That prediction came true. Meet Will Traynor, a young banker who has been left paralysed after a motorcycle accident. Meet Lou Clark, who has just lost her comfy job and needs to find something quickly to support her family. She interviews for a private position to be a carer, and to her surprise, is hired. But her relief at finding an income is shortly wiped out by Will’s attitude towards her. He barely speaks, he’s rude, and he won’t even call her by her first name. She starts making some leeway with Will, but one day she overhears a conversation that changes everything. Suddenly, her job becomes a desperate race for time. Her family, her boyfriend and her life as she knows it crumbles away in her desperate bid to save Will. Me Before You was finished in an evening and a half – I couldn’t put it down. Jojo Moyes creates a loveable set of characters – the wry but kind-hearted Will, the sturdy and strident Nathan and the ever-colourful bubbly Lou, whose favourite garment in the whole world is a pair of black-and-yellow bumblebee tights. Lou’s attempts to show Will that there are still good things left in the world – with concerts, parties and holidays – and her compassion are truly touching. Will’s staunch refusal to accept with the hand life has dealt him is frustrating but inspiring, and it lent me an insight into a world that I am fortunate enough to never have to think about. 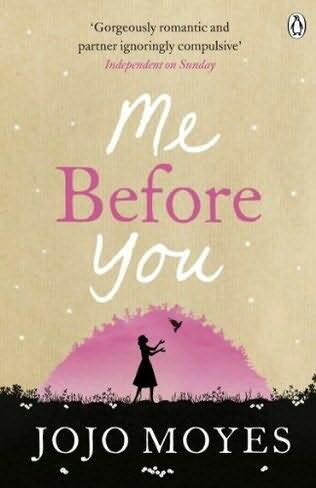 A brilliantly written novel with an unexpected twist that will have you reaching for the tissues, Me Before You by Jojo Moyes is a must-read.